But the sheet containing the release notes can’t be resized. You see about 9 lines of text at a time, and there’s nothing you can do about it. Worse, the text can’t be selected, so you can’t even copy and paste it into TextEdit or some other app to read it comfortably. They even have URLs at the bottom of the note, pointing to support pages on apple.com which contain even more details about the update — but the URLs aren’t clickable. Can’t copy them, can’t click them — the only way to actually open these URLs is to retype them manually. Apple’s newest Mac software designs just don’t seem to work very well. What @gruber doesn’t mention here is worth a shout by me: Reading release notes on the Mac—or anything else—is damn near impossible if you’re visually impaired. You could use Zoom, but again, 10.15 better bring Dynamic Type to macOS. 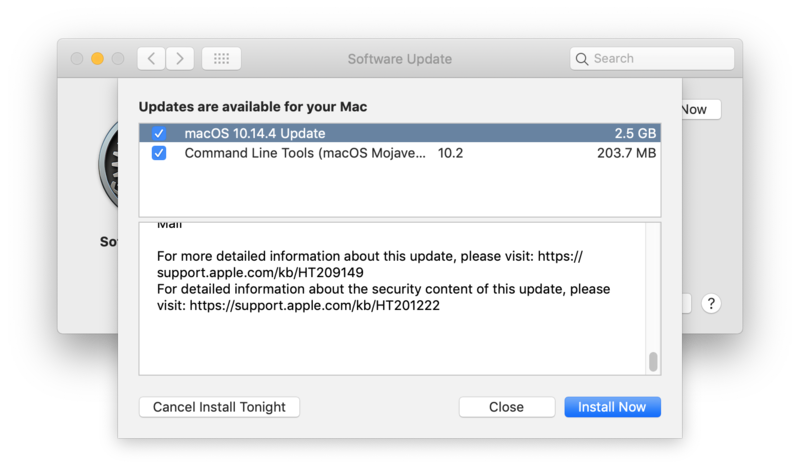 Previously: macOS 10.14 Mojave Released.